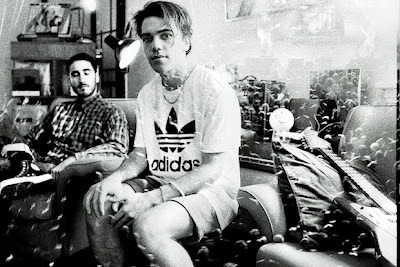 Feels Like: Fatboy Slim remixing Tame Impala, "About That Life," "Purple Haze"
Australian duo Jagwar Ma make a style of music that we haven't heard in a while. This sound, a combination of psychedelic and house, had its prominence in Manchester in the 90s with movement leaders such as Fatboy Slim, Basement Jaxx, and the Chemical Brothers. Every once in a while someone will drop a single that hints at this Madchester influence (see "About That Life" and "Purple Haze"), but rarely does a band go out and make a whole album's worth. Jagwar Ma's spot-on debut album, Howlin', is certainly an odd throwback but it's also a great listen all the way through. While "Man I Need" and "Come Save Me" are stellar, the entire album deserves a listen as it is quite the cohesive unit.